✔ Contributes to normal formation of red blood cells and haemoglobin. ✔ Can reduce tiredness and fatigue. ✔ Contributes to normal oxygen transportation in the body. Iron contributes to normal cognitive function, normal energy-yielding metabolism and to the normal formation of red blood cells and haemoglobin. 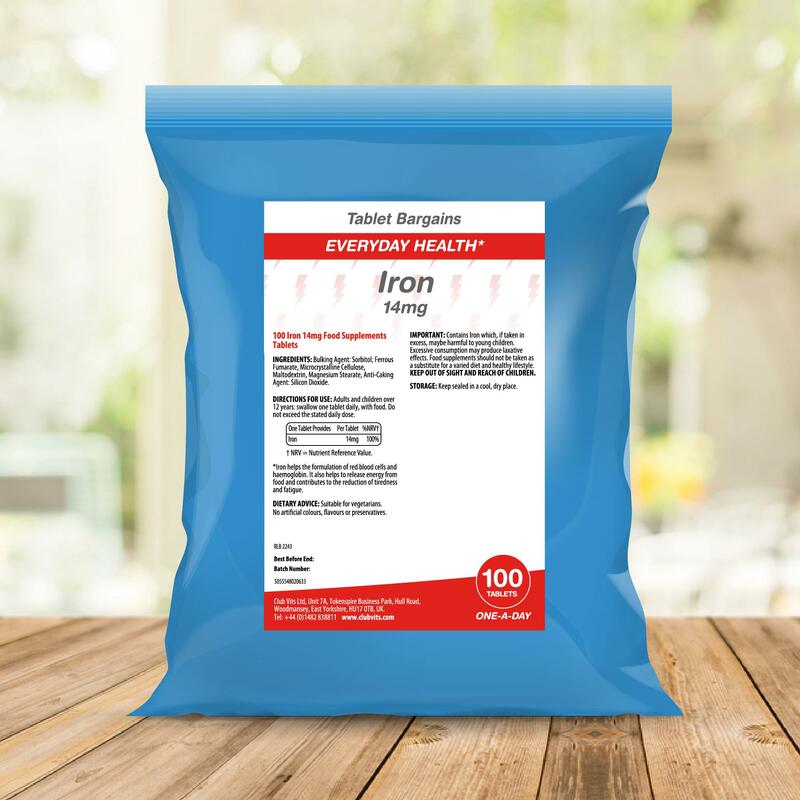 Iron also contributes to the reduction of tiredness and fatigue and contributes to normal oxygen transport in the body. Bulking Agent (Sorbitol), Ferrous Fumarate, Microcrystalline Cellulose, Maltodextrin, Magnesium Stearate, Anti-Caking Agent (Silicon Dioxide). Important: Food supplements should not be used as a substitute for a varied diet and healthy lifestyle. Contains Iron which, if taken in excess, may be harmful to young children. Excessive consumption may produce laxative effects. Storage: Store in a cool, dry place out of sight and reach of children.